Claremont Fire Chief Rick Bergeon said the fire at 1 Pleasant Street in Claremont, last night was smoldering for a while before breaking out just after 7 pm. The cause of the fire was deemed a malfunction in an old air conditioning assembly unit in the ceiling of apartment 212. 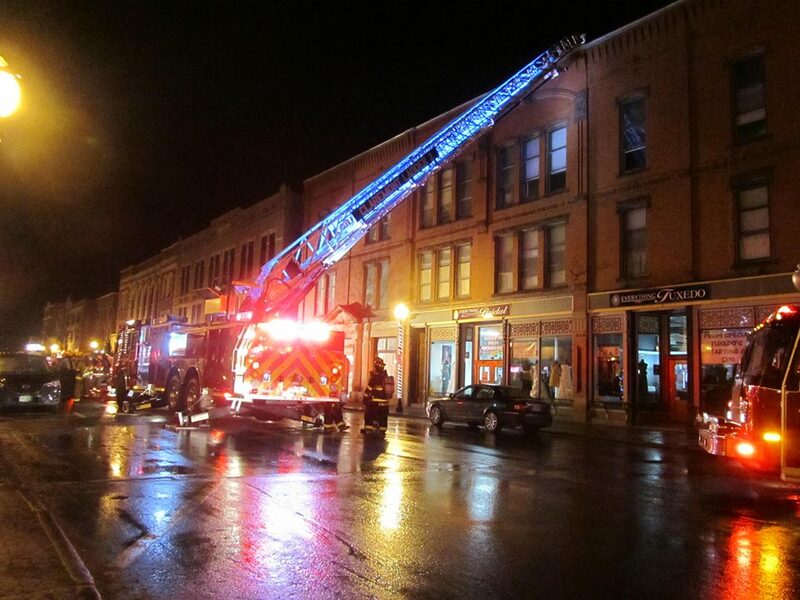 Because of smoke conditions, the building was evacuated until the smoke could be cleared. The Union Block brick building houses over 30 apartments. Direct fire damage was limited to three units, but water damage extended to some of the storefront businesses below and into the basement. The fire was under control shortly after 10:30 pm with an additional 2 hours for clean up. Claremont Fire Department was assisted by engines from Newport, Cornish and Ascutney VT, as well as with an additional ladder truck from Newport. Claremont Police Department units closed down both ends of Pleasant St. during fire department operations and Golden Cross Ambulance provided EMS coverage at the scene.